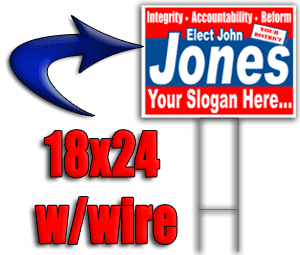 Best Price on Signs, We Guarantee It! We believe we have the BEST prices on signs on the internet. If you find a lower price, we will give you our Apple-To-Apples Guarantee. 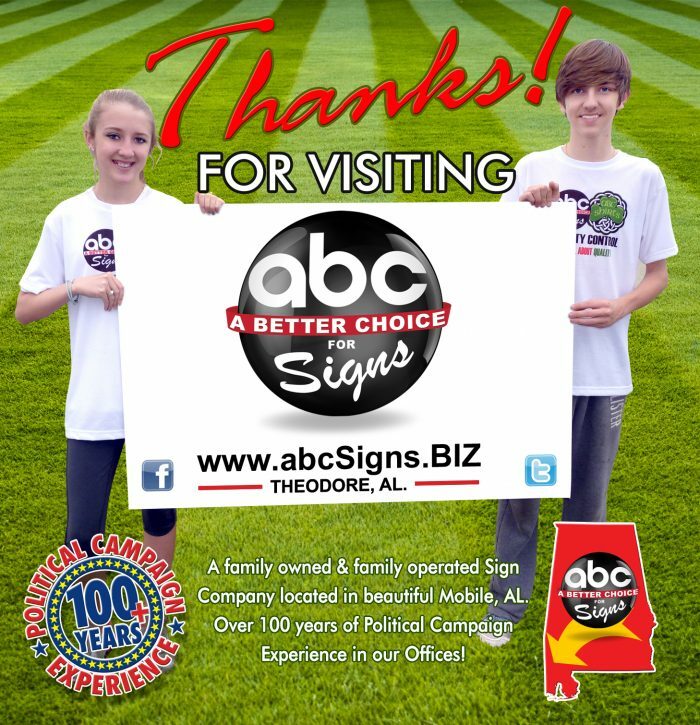 abcSigns is a FAMILY OWNED business that produces affordable political, real estate & business yard signs. We are glad to personally help in any way we can. We have family here that has won and lost campaigns, we know the ropes! Our products are 100% GUARANTEED! Thanks for your consideration! Greg and Family.